Throughout his career, Brian McManus has dealt with issues related to the natural gas and electric utility industries arising under the Natural Gas Act, the Federal Power Act, the Public Utility Regulatory Policies Act, the Electric Consumers Protection Act, the Regulatory Fairness Act, the Energy Policy Act of 1992, and the Energy Policy Act of 2005. 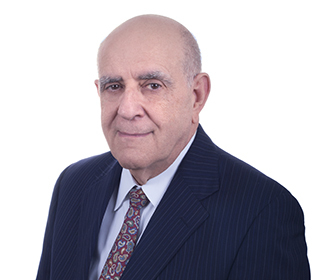 He has extensive experience appearing before the Federal Energy Regulatory Commission (FERC) and the federal appellate courts involving the administration of those statutes. Brian has assisted clients on subjects involving electric and gas rates, corporate reorganizations, importation and exportation of natural gas and electricity, construction of natural gas facilities, development of independent power projects, competition within the energy industry, formation of holding companies, issuances of securities, accounting, acquisition of facilities subject to the FERC's jurisdiction, oversight of interlocking positions held by officers and directors of utility companies, and the licensing of hydroelectric generating facilities. He has presented testimony to Congress addressing amendments to the Federal Power Act and has assisted in drafting changes to other legislation affecting the utility industry. Brian is active in the Energy Bar Association and the National Hydropower Association. He has addressed industry groups on the effects of statutory and regulatory changes that have affected the relicensing of hydroelectric facilities. Representing both the private and public sectors of the hydroelectric industry, he also has drafted and submitted pleadings and briefs on economic and environmental issues currently confronting the licensing and operation of hydroelectric projects. Brian has also advised a client on issues arising under Part I of the Federal Power Act associated with the restructuring of the ownership of their hydroelectric projects and the subsequent reclassification of certain transmission facilities from primary to non-primary line status. He has counseled clients on the use of project waters by third parties for industrial and municipal purposes on projects. Earlier in his career, Brian served as lead outside counsel to approximately 20 wholesale rate cases arising under section 205 of the Federal Power Act, including briefing and arguing before the D.C. and Ninth Circuits on petitions for review of orders from those proceedings. Assisted a large utility company in its negotiations with the Staff of the FERC on the terms and conditions of the $350,000,000 remediation of a dam to meet current seismic standards. Participated extensively in the writing of the brief to the U.S. Court of Appeals for the D.C. Circuit successfully challenging the Environmental Protection Agency on the Clean Air Act Interstate Rule (CAIR). Advised a hydroelectric licensee on the development of a formula for charging for the withdrawal of water by third-party entities.